Form 1098: Mortgage Interest Statement is filed yearly to report mortgage interest received by your business. 2. Can Interest on a Camper Be Deducted From Federal Taxes? 3. What Is the Deadline for a Mortgage Interest Statement? Business enterprises receiving more than $600 in mortgage interest from an individual or sole proprietor during the course of business must file Internal Revenue Service Form 1098: Mortgage Interest Statement. In addition to mortgage interest, this form also reports refunds of overpaid interest, certain mortgage points as well as prepaid interest on mortgage insurance premiums paid to your business over the calendar year. 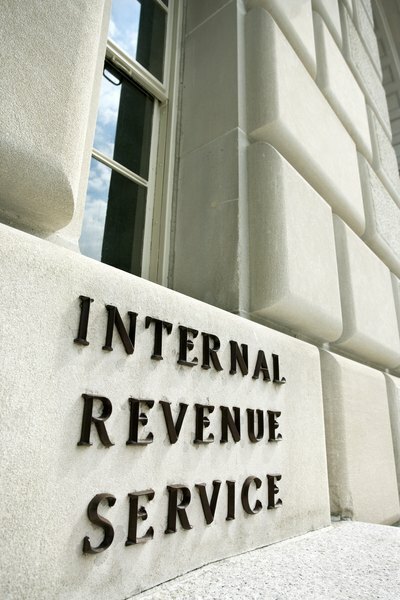 The form is filed with the IRS and sent to the borrower. Gather payment records from the borrower. Among the records you need to assemble are evidence of interest paid to you by the borrower on the mortgage during the calendar year, as well as evidence of any points paid, prepaid premiums on mortgage insurance and prepaid interest on the mortgage. Your business is responsible for reporting on individual borrowers, not companies or partnerships. Download Form 1098: Mortgage Interest Statement and its corresponding instructions. The form and instructions are available from the Internal Revenue Service website at www.irs.gov. You must submit one form for each individual or sole proprietor's mortgage; you may not report more than one mortgage per form. Fill in the void or corrected box, if applicable. If you are voiding a previous 1098 filing, check the appropriate box at the top of the form; if you are making corrections to the information on a previous filing, check the box labeled "corrected." Leave the boxes blank if you are not voiding or correcting an earlier filing. Complete boxes relating to your business details and those of the borrower. Provide your business name, address and telephone number in the appropriate box and include the business taxpayer identification number in the box labeled "RECIPIENT’S federal identification no." Fill in the appropriate boxes with the following information regarding the borrower: address, Social Security number and account number. Complete Box 1 of Form 1098. Report all interest paid to you by the principal borrower during the calendar year in Box 1, including interest paid on behalf of the borrower by third parties. Do not report interest paid by the seller or real estate developer on the borrower's mortgage in Box 1. Complete Box 2 with the total amount of points paid by the buyer for the purchase of a principal residence. The instructions for Form 1098 explain five conditions that must be met before reporting points: The points are defined on the Settlement Statement as points by using terms such as “loan origination fee,” “loan discount,” “discount points,” or “points;” they are calculated as a percentage of the principal loan amount; they are charged under an established business practice and do not exceed the amount generally charged in that area; they are paid for the borrower's principal residence; and they are paid directly by the borrower. Do not report points paid on home equity lines of credit, loans to improve a principal residence; points paid to secure or improve a second residence or points paid in excess of a principal loan amount of $1 million to secure a principal residence. Complete Boxes 3 through 5, if applicable. Report reimbursement for overpaid interest totaling more than $600 in Box 3 and interest paid on mortgage premiums in Box 4. Box 5 is a blank box where you can report any additional details, including the address of the property that secures the debt, real estate taxes, insurance or the name of the person for whom you collected the interest. Submit Copy A of the completed form to the IRS. Details regarding the address for paper submissions and the procedure for electronic submissions are found in the IRS Publication entitled "General Instructions for Certain Information Returns (Forms 1097, 1098, 1099, 3921, 3922, 5498, and W-2G)." Consult the section entitled "Where to File" for the address to send paper reports and the section entitled "Electronic Filings" to get details regarding electronic submission. Send Copy B of the completed form to the borrower. Mail the form to the official address as reported on the form. Use a proof of mailing service such as registered or certified mail. Retain Copy C for your records. Keep a copy of the completed form for future reference.